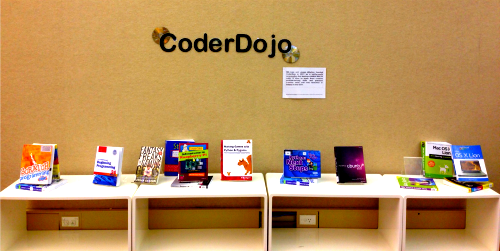 Home › Carindale Library › What’s been happening at CoderDojo Brisbane? CoderDojo Brisbane kicked off at Mt Ommaney Library on Saturday with a fantastic turnout of 20 kids all eager and excited to learn how to code from our seven wonderful mentors. A fantastic surprise was one of our very clever participants Caelan turning into one of our mentors – as it turned out, he’s a Scratch expert! We had some excellent demonstrations including a space game, laughing, singing and dancing cats. The library staff at Mt Ommaney have also done a great job in creating a CoderDojo feature wall with all the books you need to get started on Scratch, Python and other coding languages – all available for hire. A big thank you to all our mentors at Mt Ommaney Library for doing a wonderful job in ensuring all the kids were on the right track. The mentors at Mt Ommaney Library have some exciting things planned for the upcoming sessions, so we hope that you’re looking forward to the upcoming sessions at Mt Ommaney Library! 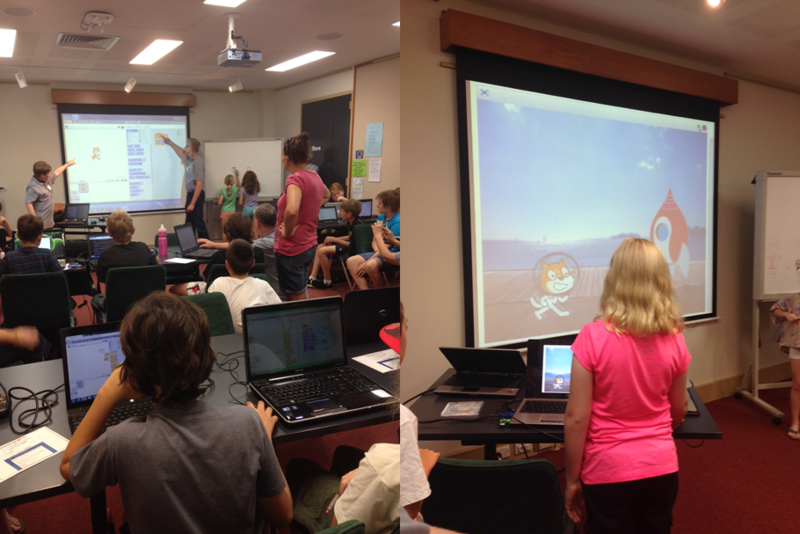 We had another great session at Carindale Library with 25 enthusiastic kids coming ready to code. The kids continued exploring Scratch and we also had one of our wonderful mentors do a Java and HTML session. With Java, our mentor Stephen introduced the kids to a first class and got them to try and figure out how to sum a list of numbers. Thanks to all our wonderful mentors at Carindale Library for the great variety of content being introduced to the kids! Chermside Library has hit the half-way point of their CoderDojo sessions and is getting even more exciting as the sessions continue. One of our wonderful mentors Justin brought in a 3D printer, which was a massive hit with all the kids! During the session, the mentors and participants were able to print off a 3D version of the MakerBot Gnome, as seen below. This is the MakerBot Gnome. We also had some excellent demonstrations with Zach showing his mouse catching game, with some cool sound effects he created himself. Tom also demonstrated his Zombie shooter game with atmospheric background music and zombies that kept coming faster and faster. We had some great feedback from the other kids, with lots of encouragement and suggestions for the kids. Another big thank you to our wonderful Chermside mentors who are continuously producing excellent demonstrations and ideas for the kids to work on. We had another great session at Sunnybank Hills Library with nearly all kids working with Alice and producing great work during the session! The kids were a little bit shy this week with demonstrations, however we’re hoping that at this Saturday’s session we’ll get a few kids up to show off their excellent work. A huge thank you to all our mentors and participants at Sunnybank Hills Library for their great work during the sessions! CoderDojo Brisbane continues this Saturday at Chermside, Sunnybank Hills, Carindale and Mt Ommaney Library from 12 – 2pm. We hope you’re looking forward to the upcoming sessions! 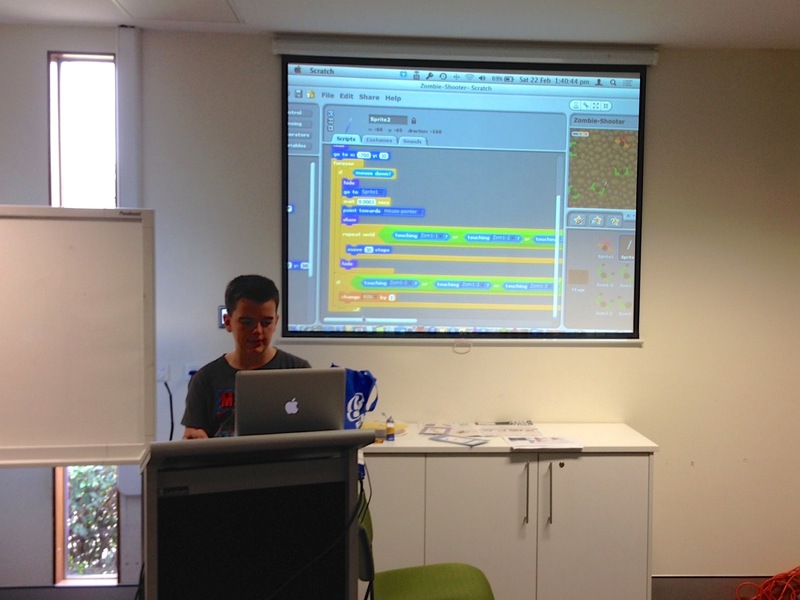 ‹ CoderDojo kicks off at Mt Ommaney Library tomorrow!